The world has gone High Def crazy but we're still missing HD broadcasts to watch on our shiny new panels, according to a new report by Research and Markets. 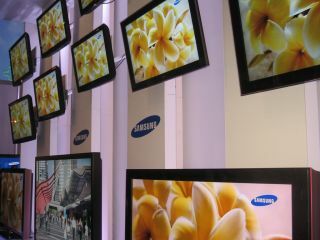 In the US, there are more than 39 million households with an installed HDTV set. However, only 22 million of those actually receive and watch HD programming. That means nearly 45 per cent of people bought a HD Ready or Full HD set without anything to watch on it. The Consumer Electronics Association says last Sunday's Super Bowl showdown alone will stimulate another 2.6 million HDTV sales in the year ahead. High time for High Def? Worldwide, it's a similar story. Although the number of HD households increased 25 per cent in 2008 - and is expected to grow a further 30 per cent in the recession year of 2009 - there are still just 36 million households in the world with both HD kit and HD programmes to watch. Europe has been particularly slow to pick up the HD trend - it will be 2011 before we have 10 million HD households across the entire continent. That's partly because cable and satellite companies still provide over 80 per cent of HD TV broadcasts worldwide, with terrestrial broadcasters still struggling with the challenges of upgrading to HD.